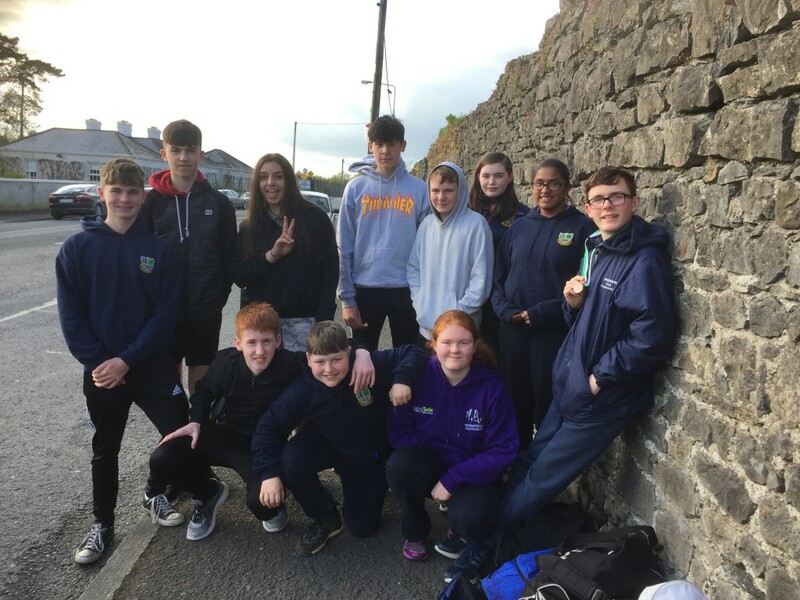 On Friday the 27th of April, 14 students headed off to Waterford’s Regional Sports Centre to compete in the South Leinster Athletics Track and Field event with their coaches Ms Ryan, Mr Fitzgerald and their assistant coaches, Liam Harrison and Darcie Murray. In the field events, Shannon Maher came a strong 7th in the Javelin. Mary Moraes finished in 6th place in her discus event. John Ryan and Jillian Byrne did very well in a competitive javelin competition. However, performance of the day went to Patrick Duffy, who brought home a bronze in the discus. He also came in the top ten in the shot putt. On the track Adam Connolly, Darragh Byrne Kian Ryan and Aidan O’Reilly ran very good 100m sprints for the junior boys, while Alex Murphy came in the top 4 in his heat of the 200m, which qualified him into the final. Aaron Binions ran a very good hurdle race. 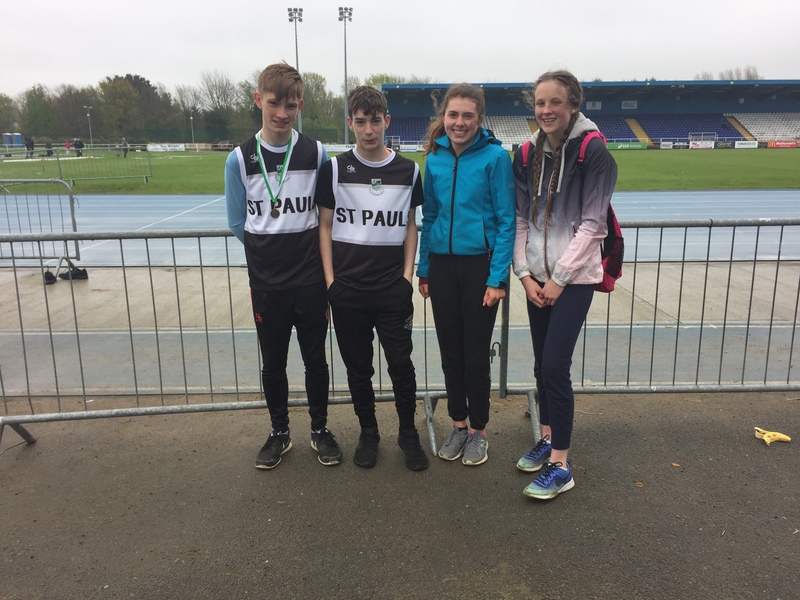 On Thursday 3rd May our senior athletes headed to Waterford to compete in the second day of the South Leinster Athletics Championship. Orla Hartigan finished 4th in her high jump event. Performance of the day went to Adam O’Halloran, who finished 3rd in the triple jump in what was his first time competing in the event. Well done to all of the students who competed. They had an enjoyable experience despite the cold weather on both days and a lot of fun was had!